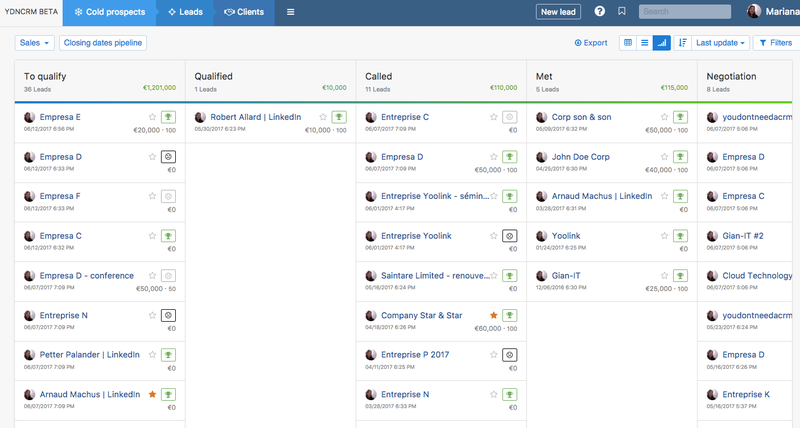 Extended, Compact & Pipeline Mode · You Don't Need a CRM! Depending on your situation, you probably want to be able to view and access your leads in different ways. That's why we've created three different viewing modes to help you work more comfortably. If you have a low number of leads to manage, you may wish to view them all in detail. 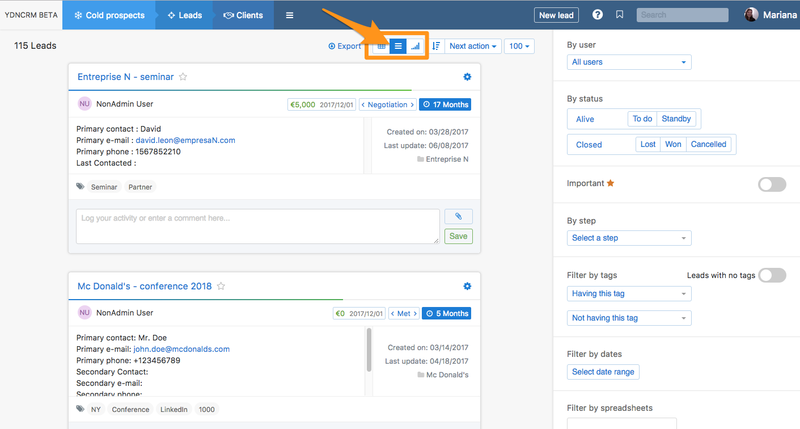 If you need to do a bulk action with leads, you might want them all compacted into one page, so you can easily select and organize them. Finally, if you want to get a complete overview of your sales, then you might prefer visualizing your leads in your predefined sales funnel. 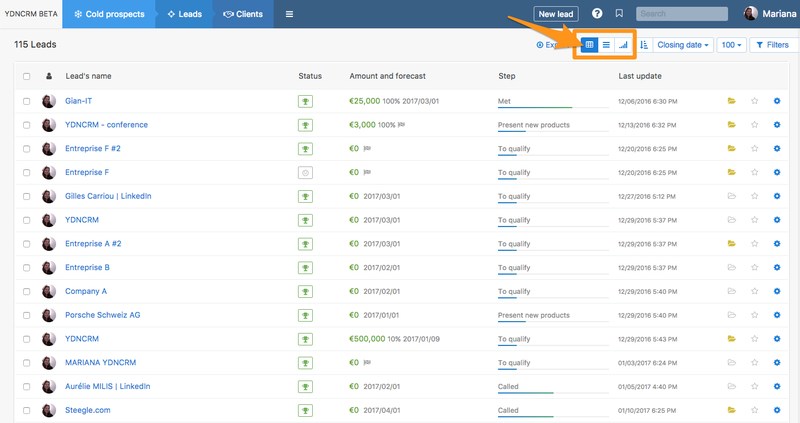 If you can relate, it's good news: no crm.io offers you all these variations. At the top of every page, when viewing leads (ie. 'To-Do', 'All my leads', etc. ), you can choose between the three modes: Extended, Compact, and Pipeline. Each one can be used in a different circumstance, depending on what it is that you want to do.